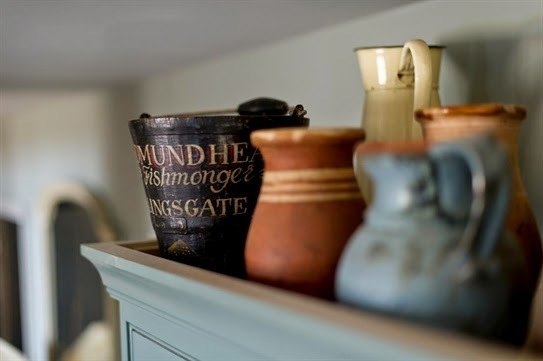 Not every home can carry off a rustic, country kitchen but I am drawn to its earthy appeal and it is fairly easy to bring a little earthiness into your kitchen. 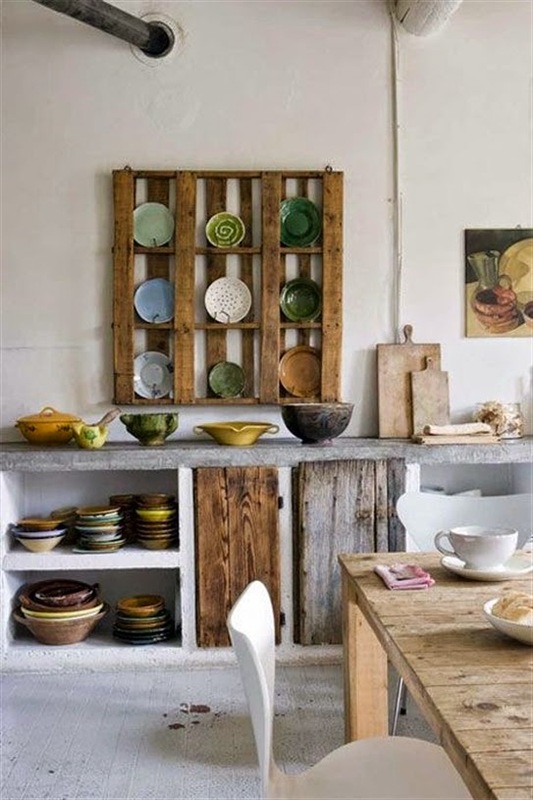 Following Tuesday's post on a rustic farmhouse, I searched for some inspiring kitchens with similar appeal. 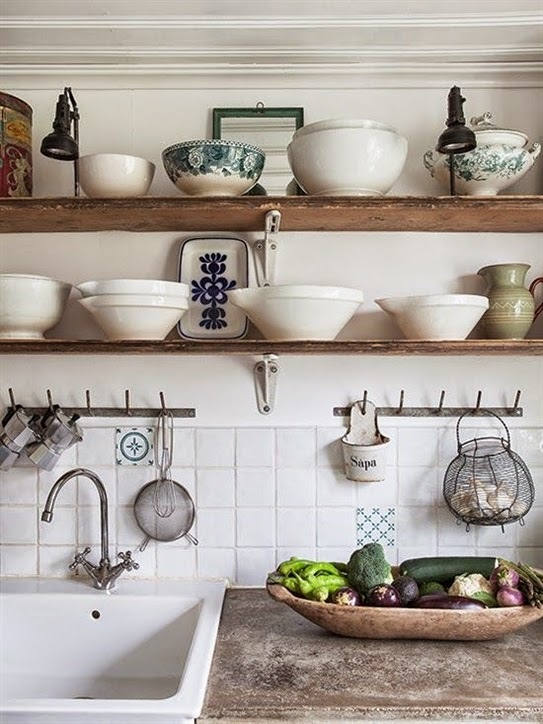 Kitchens that have me dreaming up home made preserves, thick, nutritious winter soups and delicious, crusty bread. 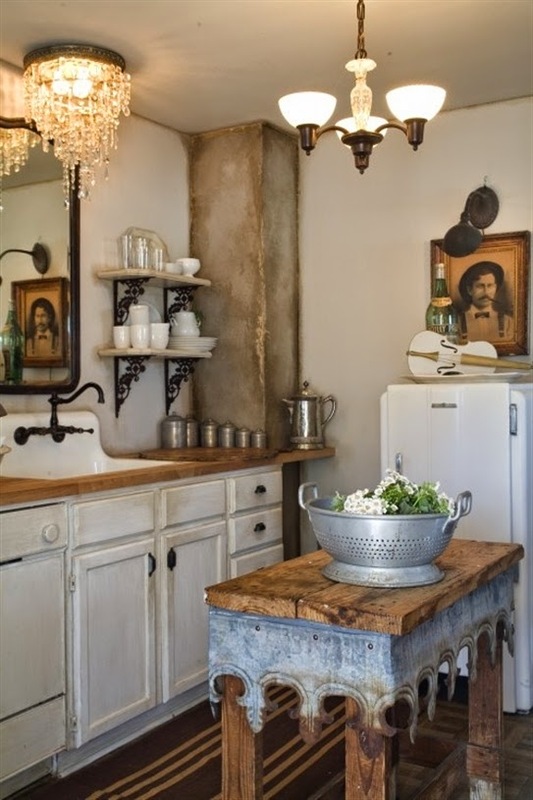 Each of these kitchens has its own unique rustic charm...I love them all! 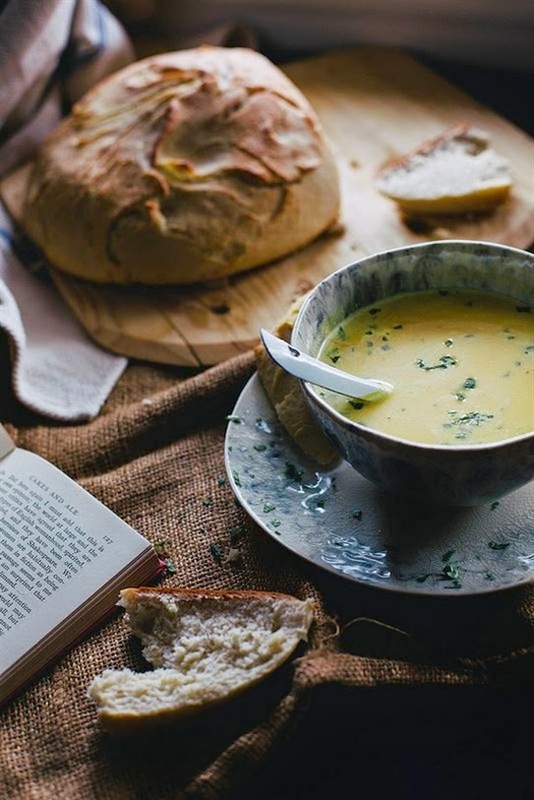 Above: With three prestigious blog awards, including two for food photography, Beth, from 'Local Milk' came up with this delicious Curried Kabocha Squash Soup, recipe. And, for those of you short of time or lacking patience (hand goes up), when it comes to bread making, it also includes a quick recipe for crusty, 'No Time Bread'. Both recipes can be found here.... at Beth's blog, 'Local Milk'. In New Zealand we may not be familiar with the name 'squash' but it is the same as 'butternut' or you could use 'spaghetti squash'. 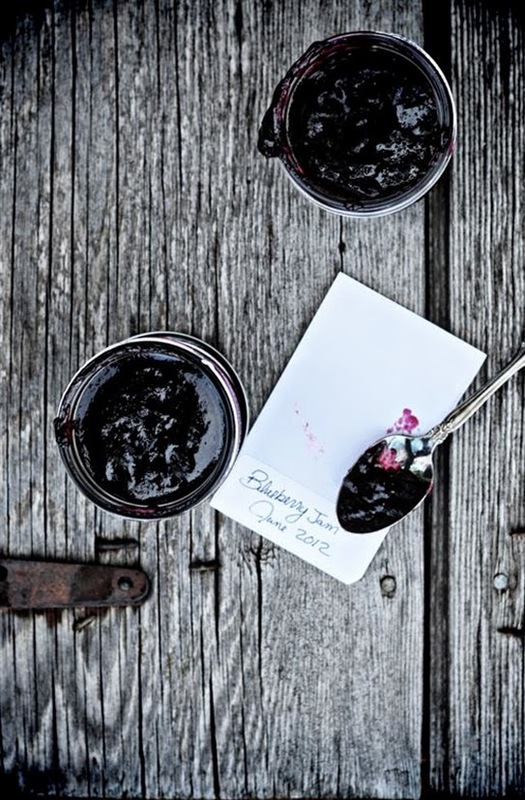 Above: A recipe for Blueberry Jam from Dine and Dish. As you can see, it really is simple to bring a little rustic style to your kitchen and even more delicious to actually taste some of it. 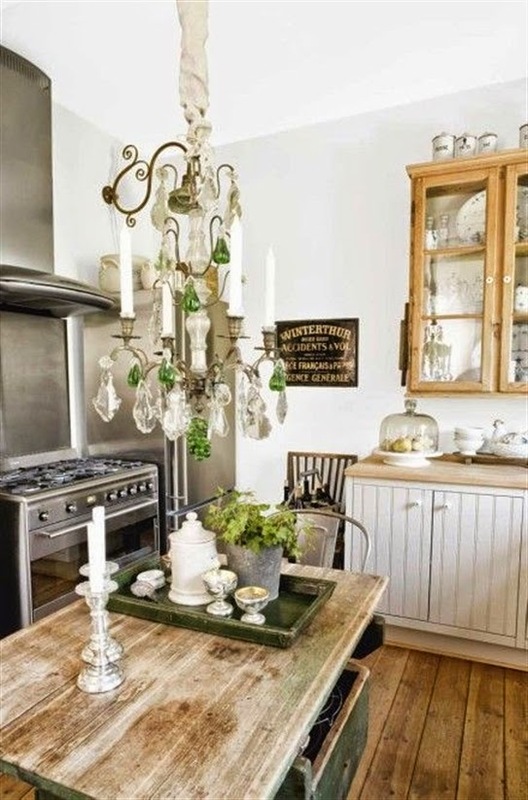 Hi Lee, Love me a rustic kitchen, especially with some bling like a chandelier. 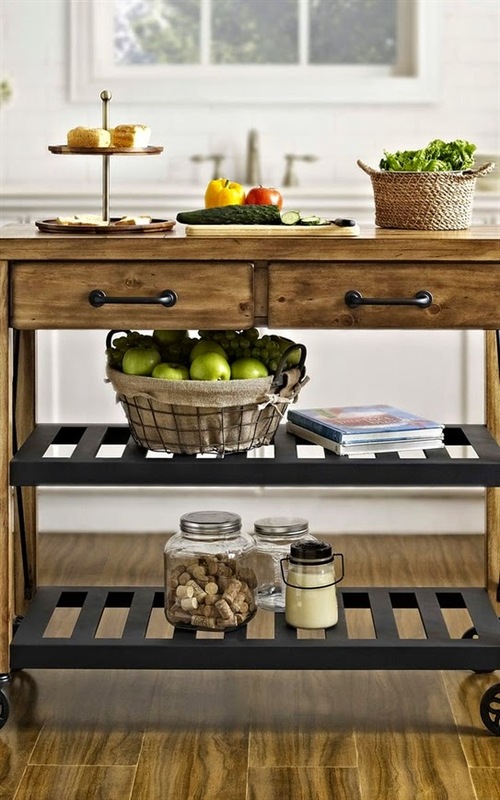 Also love those open shelving. Hoping to get The Hubby to put some up for me.